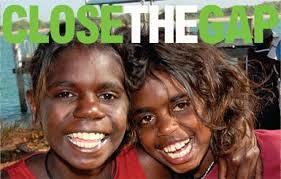 Closing the Gap is a commitment by all Australian Governments to improve the lives of Indigenous Australians, and to provide a better future for indigenous children. The strategy is coordinated through the Council of Australian Governments (COAG) the peak intergovernmental forum to support indigenous communities in areas such as education, housing, and health. QRAM is engaged with Government on a partnership with the communities to prepare, develop, and produce Audio Programs in many languages that will have maximum impact on the whole of the community. The material is broadcast over 13 stations on the QRAM Black Star Network, is spoken word with community participation, speaking the messages to their own families and friends in the hope that on this incredible, spiritual, vibrant, journey that their lives will change from a desperate situation to a healthy better life for them all. QRAM applauds the Closing the Gap extension to this” Our Community Our Future Campaign” this major commitment will lead to closing the gap in pathways and eventually major change in communities.